We offer five days of fun-filled activities. We have camps for younger kids (ages 6-9) and older kids (ages 9-14), with projects tailored for each age group. View our schedule and register below! 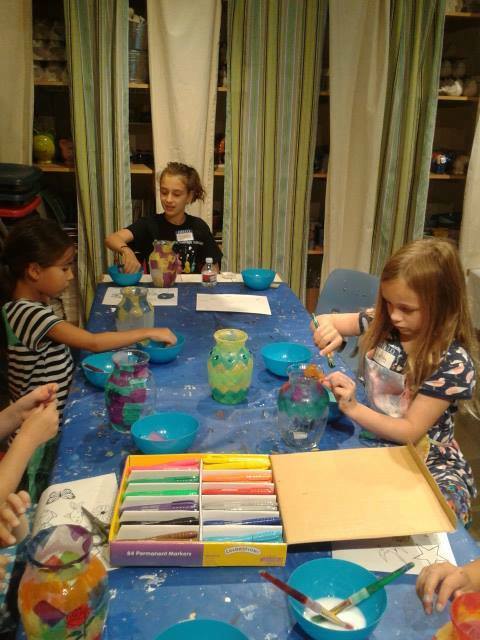 Our week-long summer camps are five fun-filled days of glass fusing, canvas painting, multiple crafts in different mediums...and, of course, pottery painting! To view camp projects, please select the week of the camp you're considering.